Here’s another great sugar scrub recipe for you to try out. Whenever I go and get my nails done, I notice that most women opt for the lavender scent when it’s time for their hand massage. To be honest with you, I’m more of an orange or eucalyptus kind of girl. But I definitely appreciate the scent. 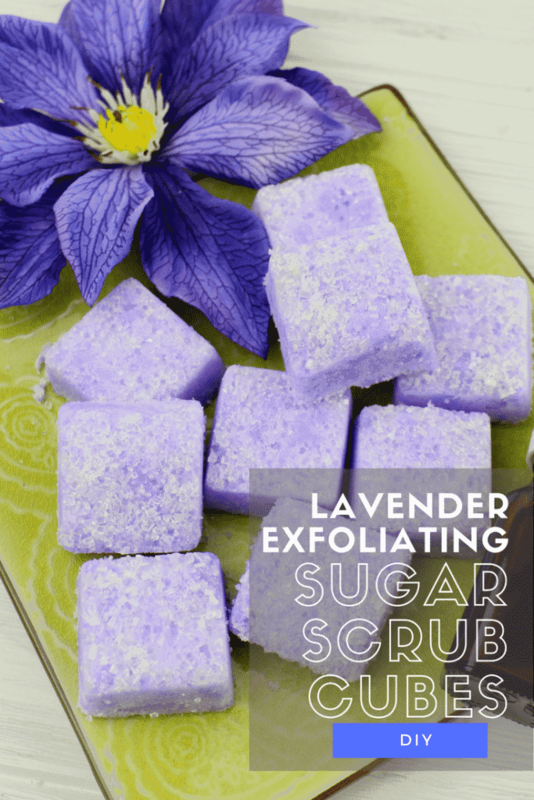 We all need to exfoliate and if you are in the market for an at-home scrub that you can make on your home, check out this recipe below. This sugar scrub recipe only needs a few ingredients and is sure to help make your skin summer ready. Remember – if you are gearing up for some time at the pool, it’s always best to exfoliate first! There’s no point in tanning if you haven’t exfoliated first! You’ll start peeling before you get home. Get rid of all that dead skin before you start your day in the sun. (Yes, mom – use SPF… I know.) This also goes for spray tanning, too! You can use this sugar scrub recipe all over your body, but I wouldn’t put it on your face. I’m super sensitive and I try to keep only products geared towards sensitive skins near my cheekbones. But the rest of your body is totally up for grabs! Take a look at the ingredients list and make sure that you aren’t allergic to anything – it’s all natural, but you never know! Ok, are you ready for this sugar scrub recipe? Let’s get started! 1. Add the shea butter and coconut oil to a medium microwave-safe bowl. Microwave on HIGH for 40-45 minutes or until completely melted. Stir well. 2. 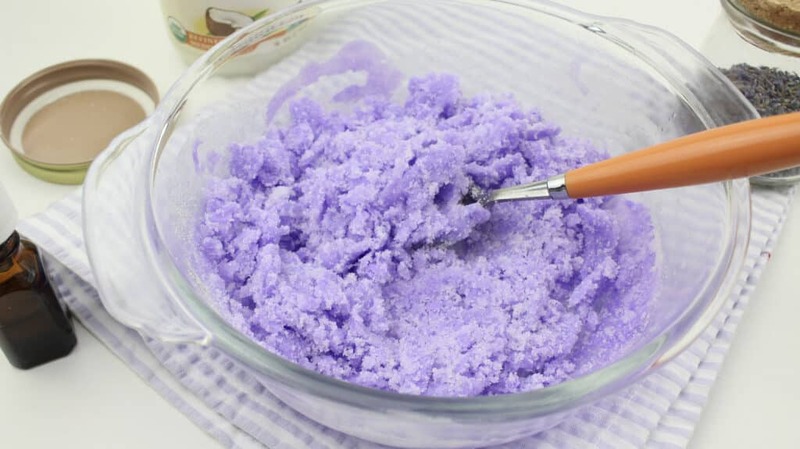 Add the soap colorant and stir until your desired shade of lavender is achieved. 3. Add the lavender essential oil and stir well to incorporate. 4. Transfer the mixture to the molds, filling up to the top. 5. 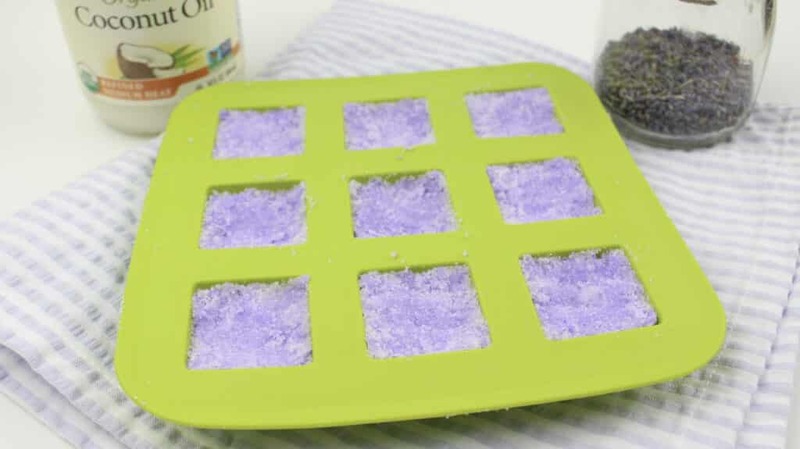 Chill the silicone mold for a minimum of 2 hours to allow the exfoliating cubes to harden. 6. 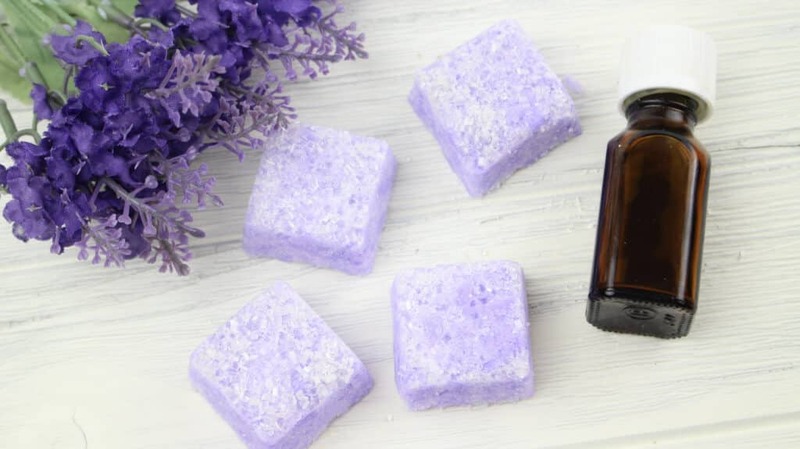 Remove the lavender essential oil cubes from their molds and store in an airtight container for up to 12 months. 1. 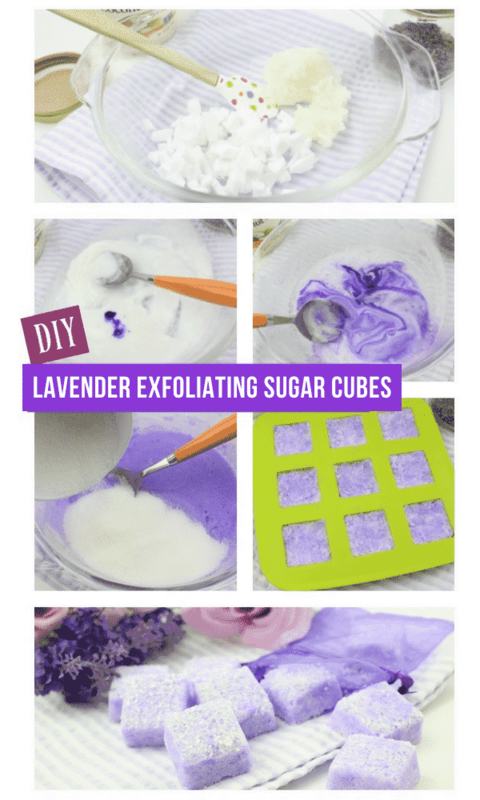 Bring 1-2 exfoliating lavender sugar cubes into your shower or bath. 2. Rub the cubes on wet skin to exfoliate and moisturize. 3. Rinse well and pat dry with a towel. 4. Apply your favorite moisturizer once done. (Remember this general beauty rule of thumb — whenever you take something away (exfoliating or washing your face), you have to give something back (moisturize or mask). What do you think? Are you going to give this recipe a chance?